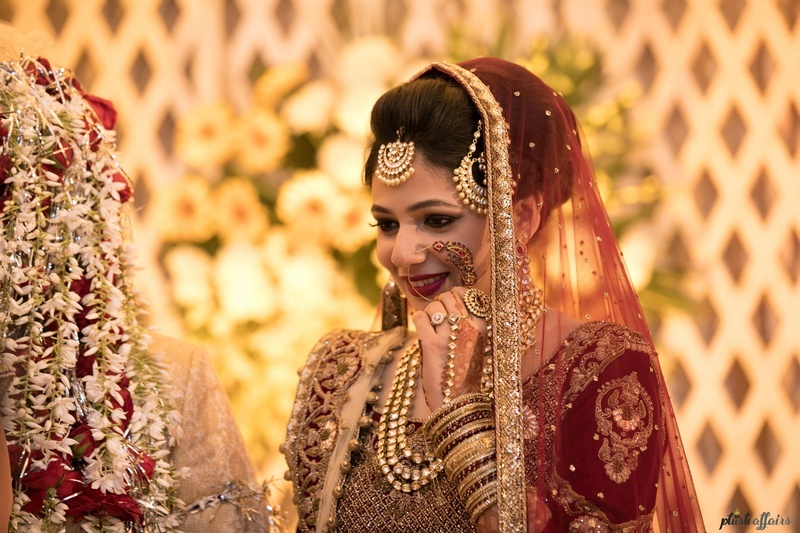 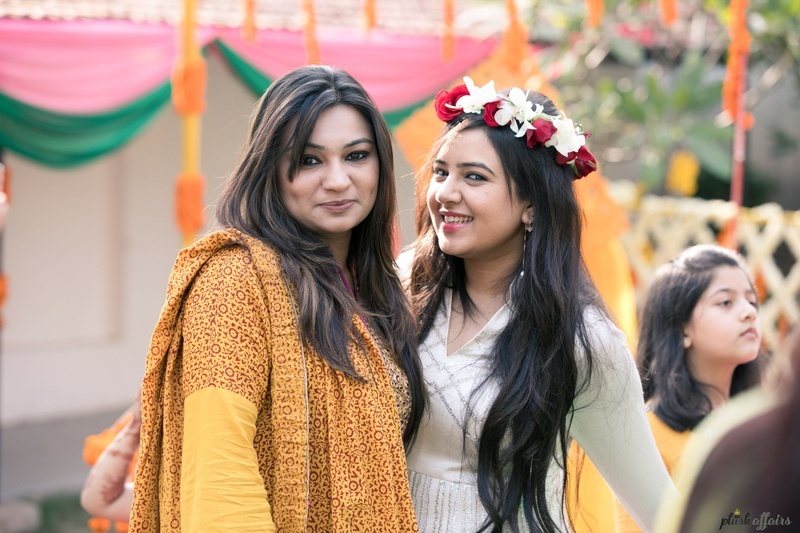 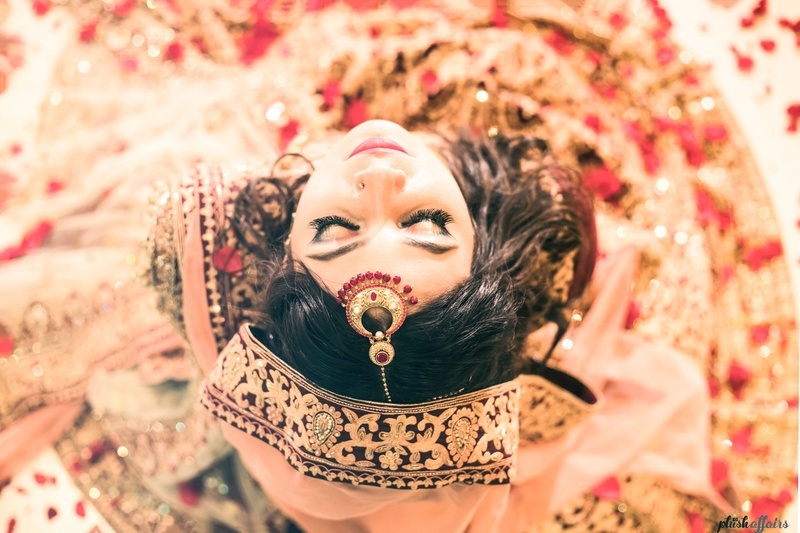 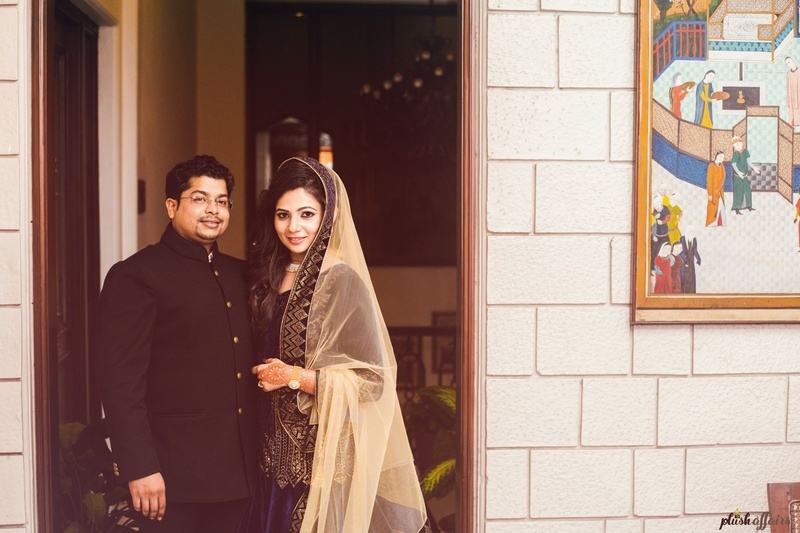 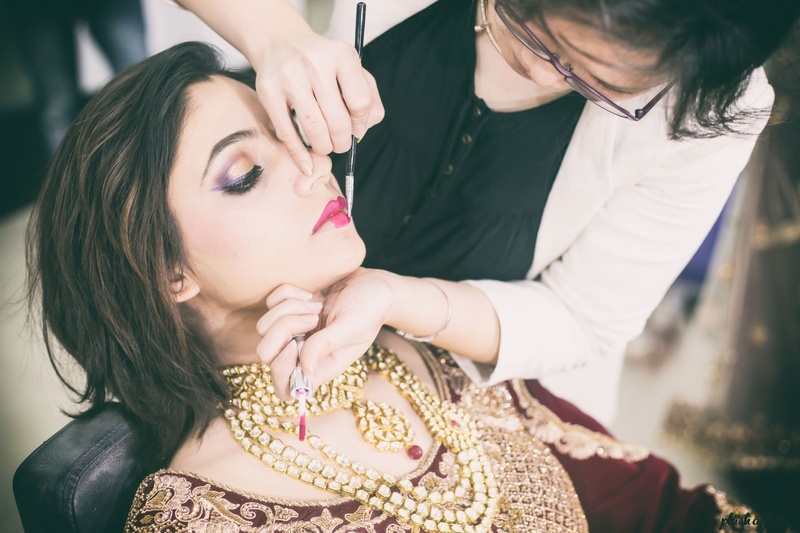 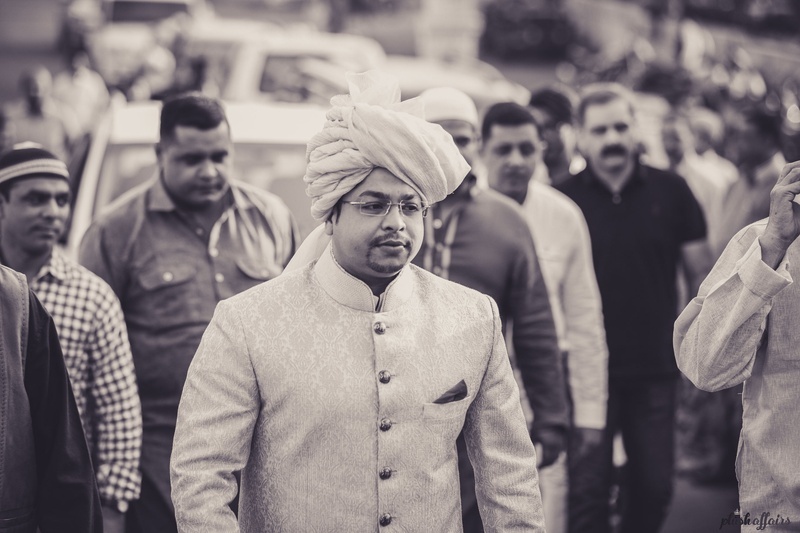 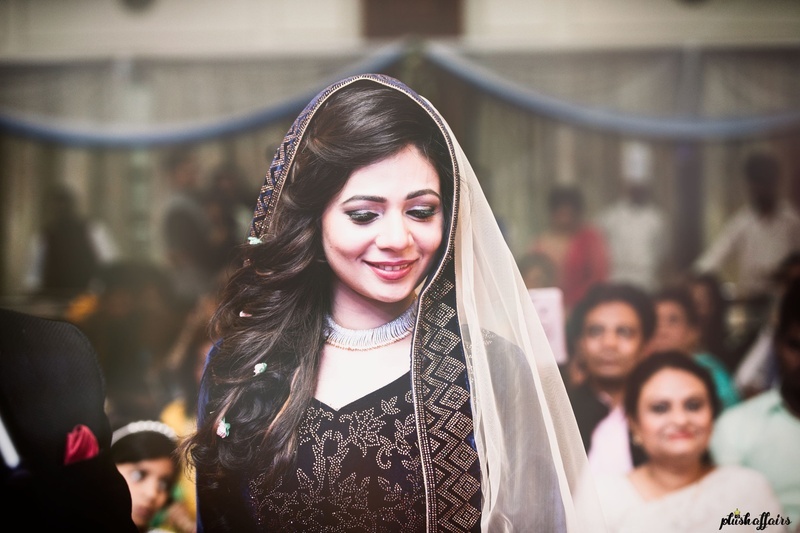 A regal event where the bride looked like a mughal queen! 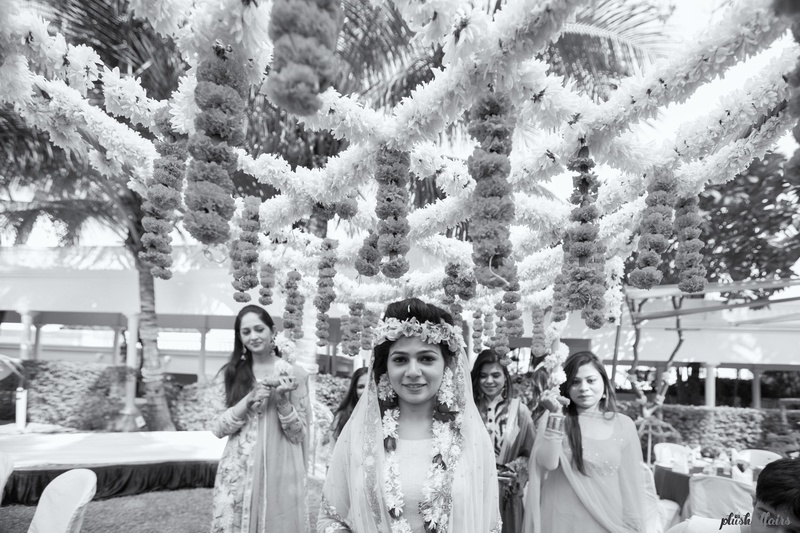 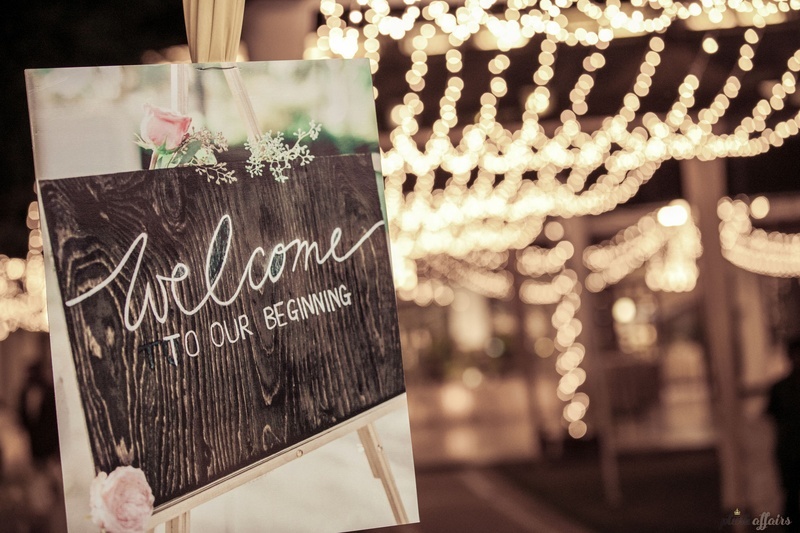 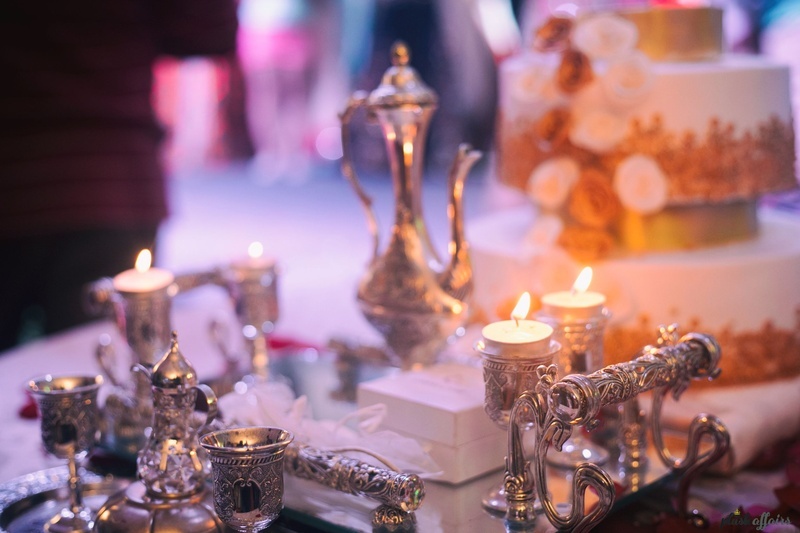 This wedding at Jahanuma Palace was an event that held true to the venue's name. 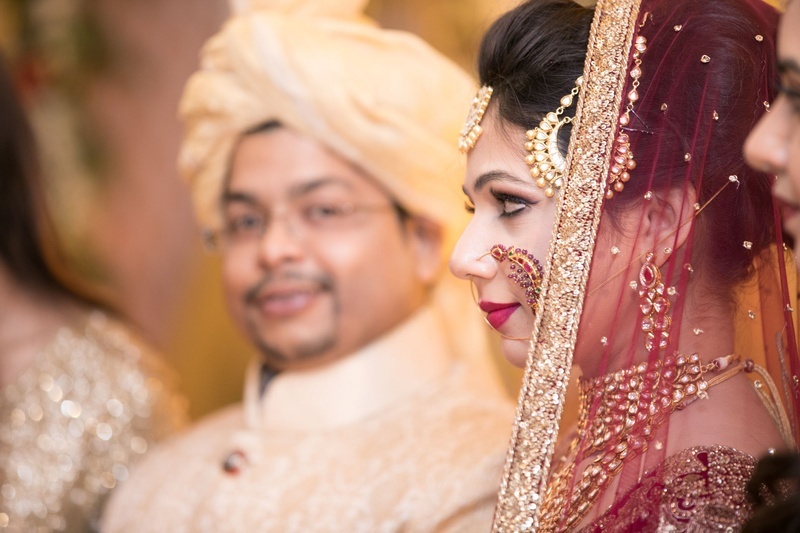 A regal event where the bride looked like a mughal queen! 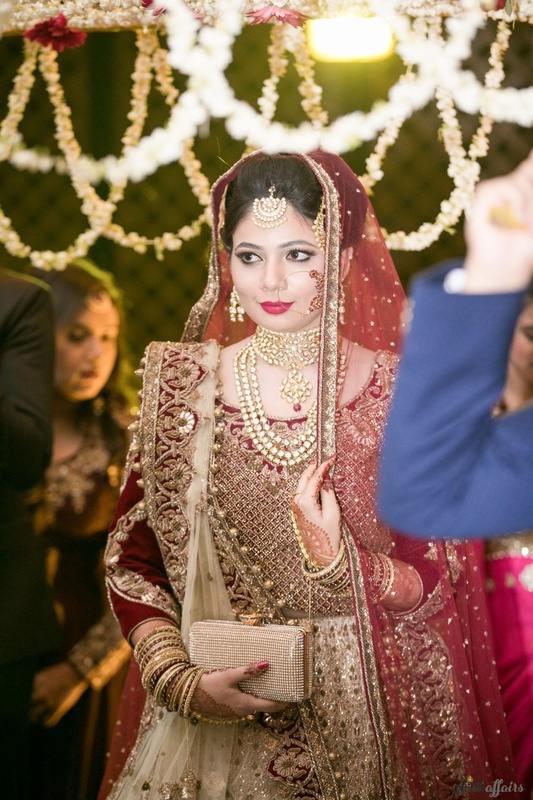 Her stunning marsala, gold and beige lehenga that she paired with polki-kundan spakling jewellery made her look every bit royal. 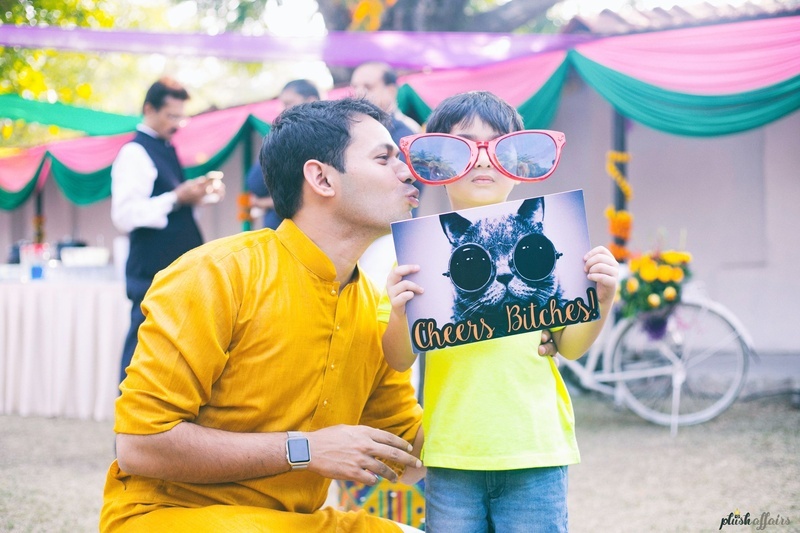 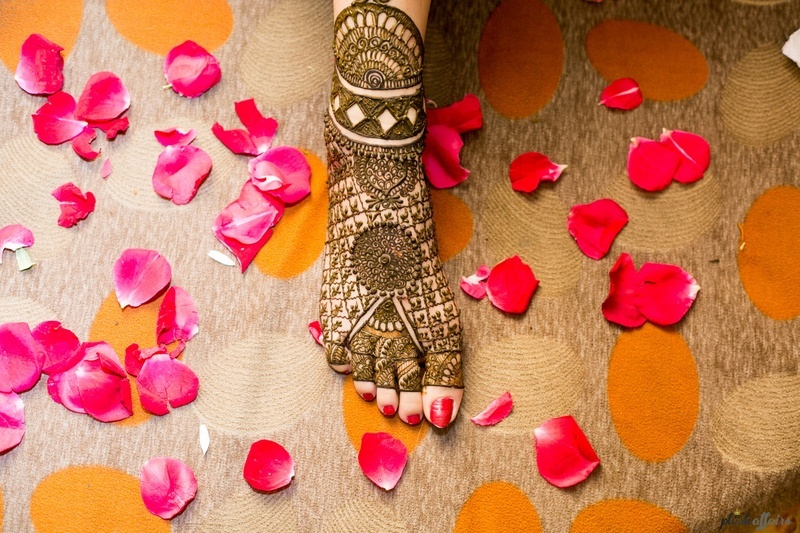 Apart from this, also look out for the pretty mehendi decor consisting of aesthetic arrangements of gendha-phool: a must at every Indian wedding! 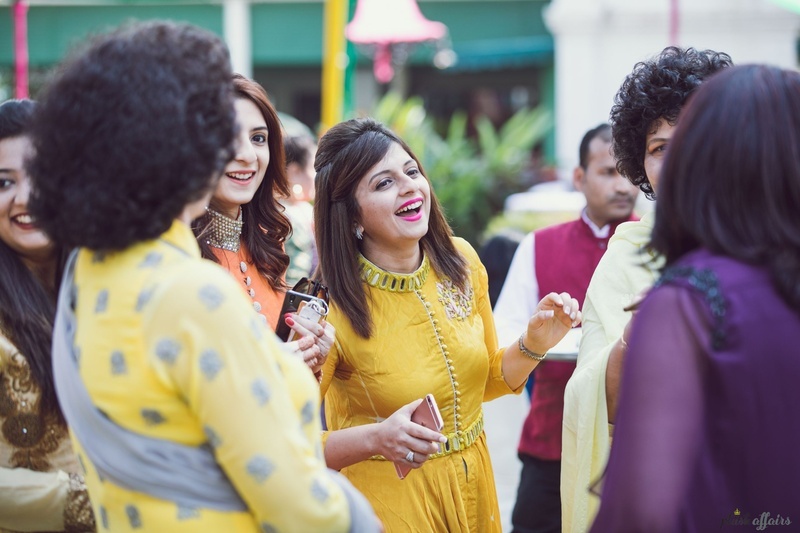 Dressed up in olive green Anarkali with golden work styled with minimal jewellery for the Mehendi Ceremony held at Hotel Neena Palace, Bhopal. 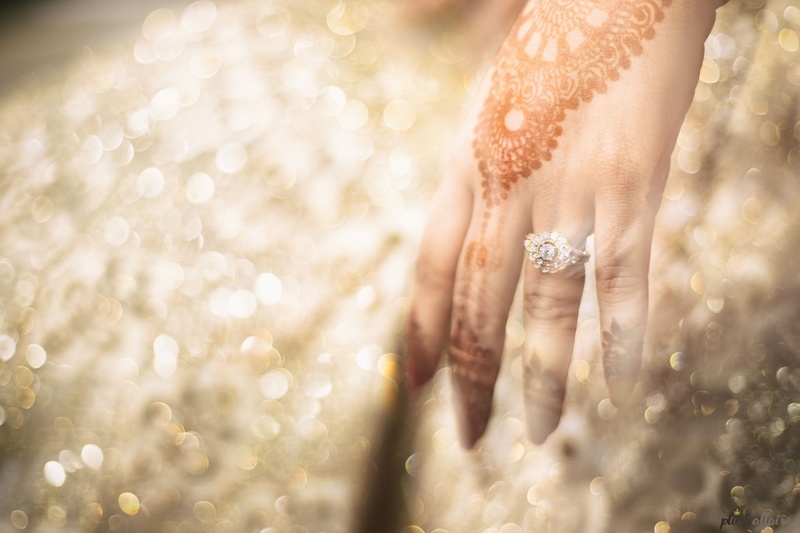 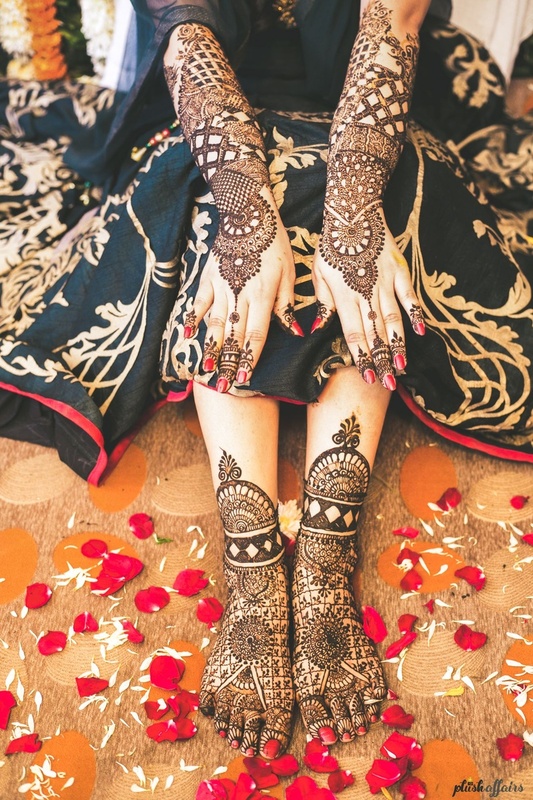 Bridal mehendi photography by Plush Affairs. 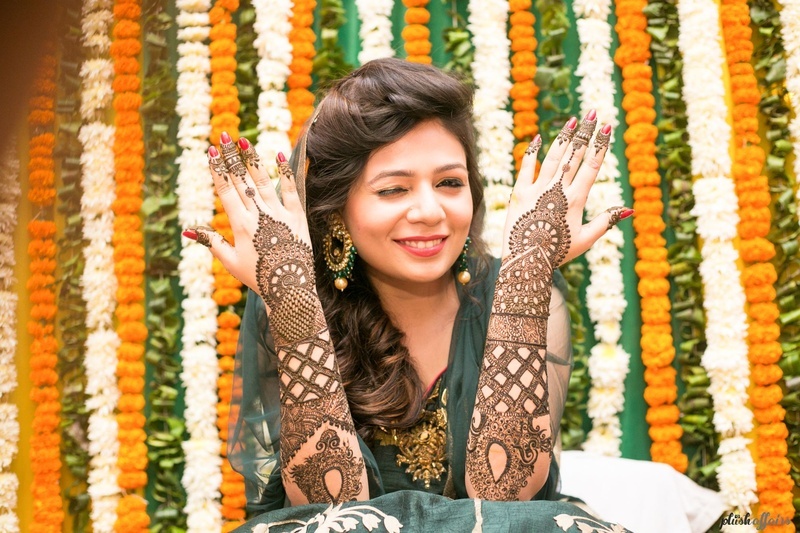 Bridal mehendi photography by ace photographer Plush Affairs. 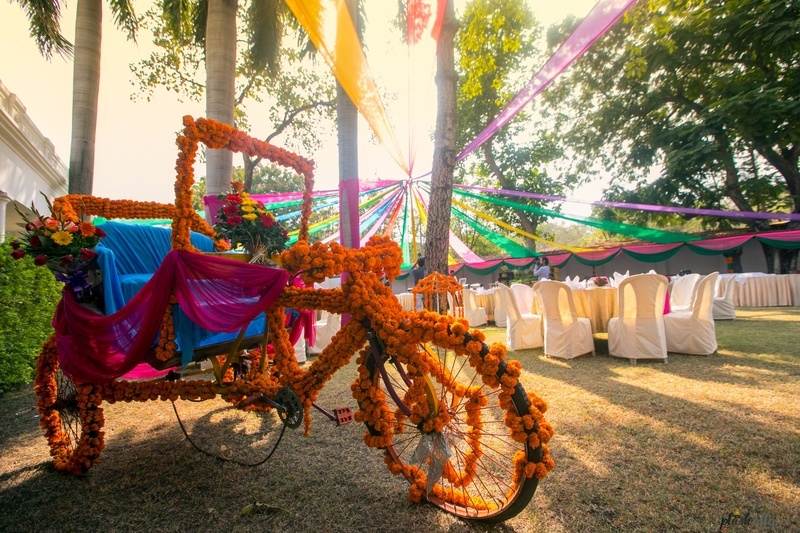 Rickshaw covered with genda phool for photobooth stand at the Mehendi and haldi ceremony. 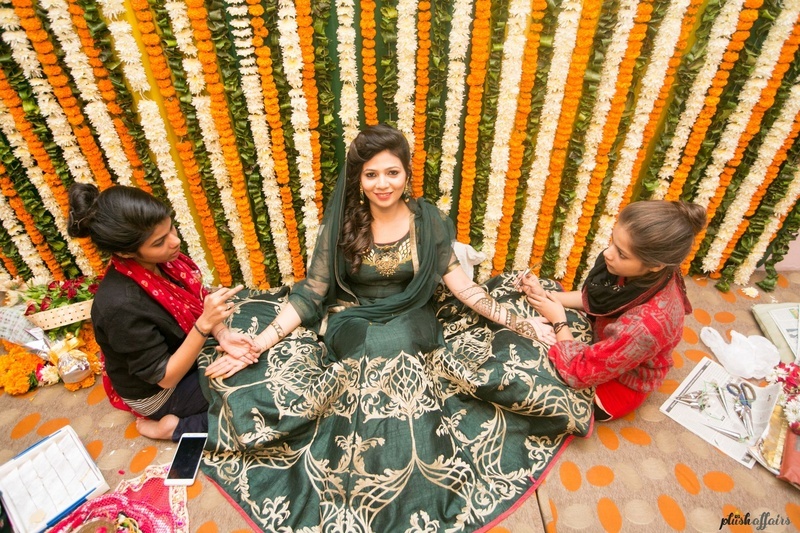 Bridal entrance under the phoolon ki chaddar for the haldi ceremony. 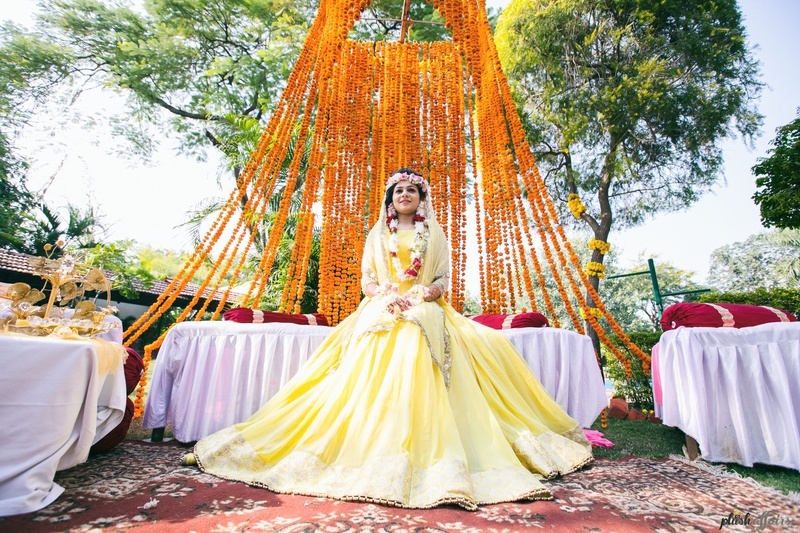 At her haldi ceremony with strings of genda phool decor as a backdrop. 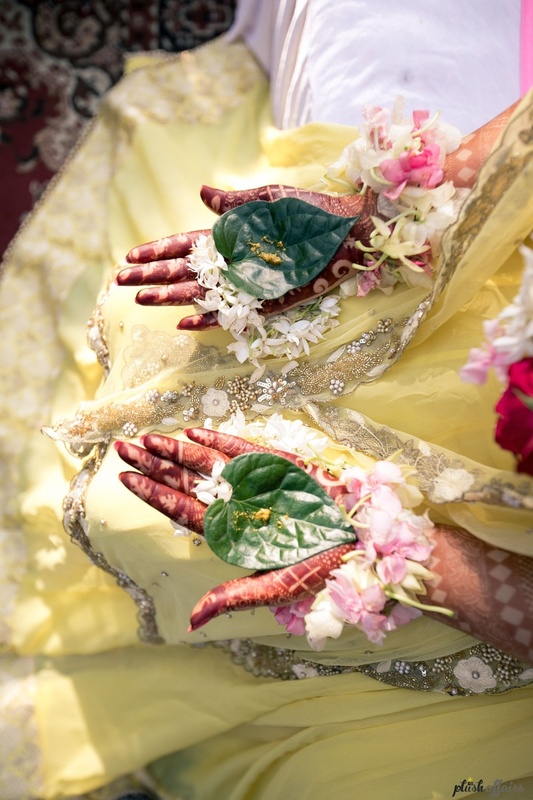 Holding leaves for the haldi ceremony ritual. 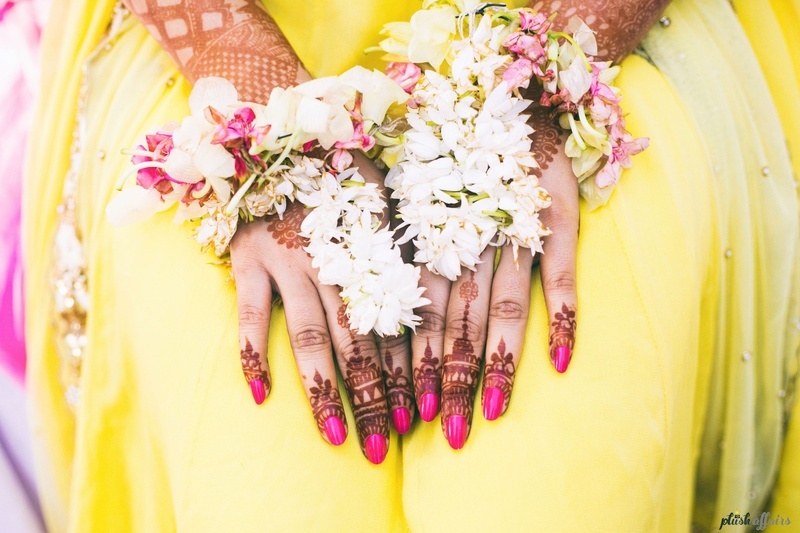 Hands adorned in pretty floral jewellery for the haldi ceremony. 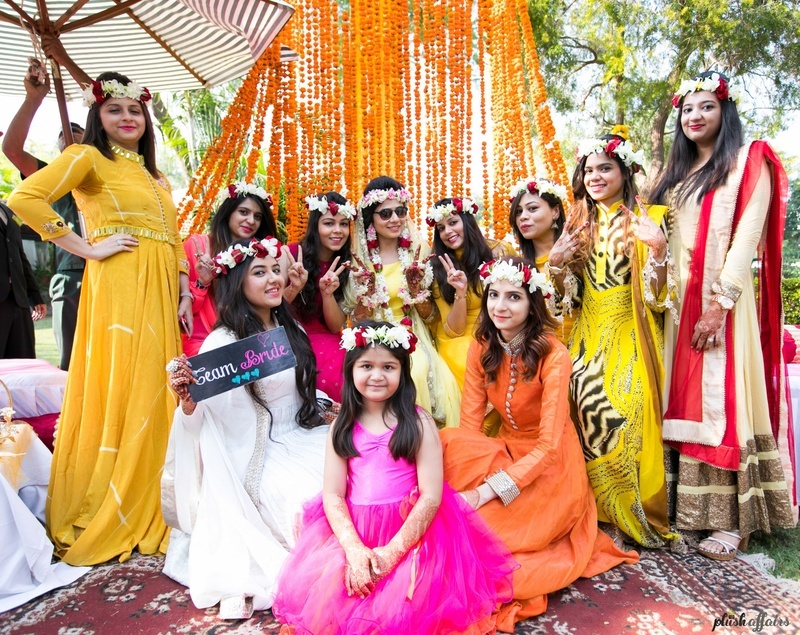 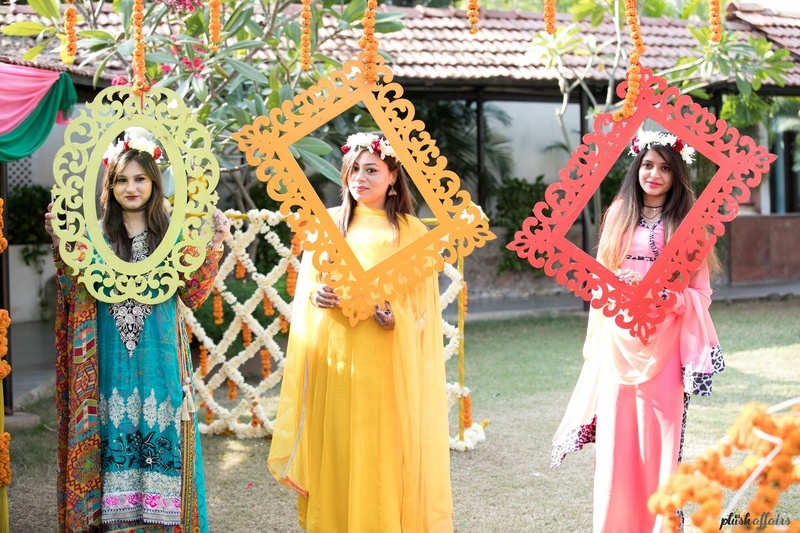 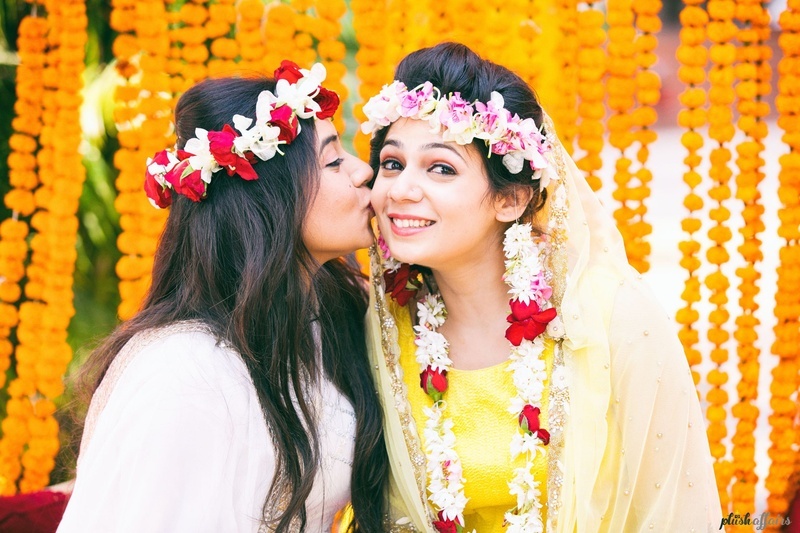 Bridesmaids dressed in colorful outfits styled with floral tiaras for the haldi ceremony. 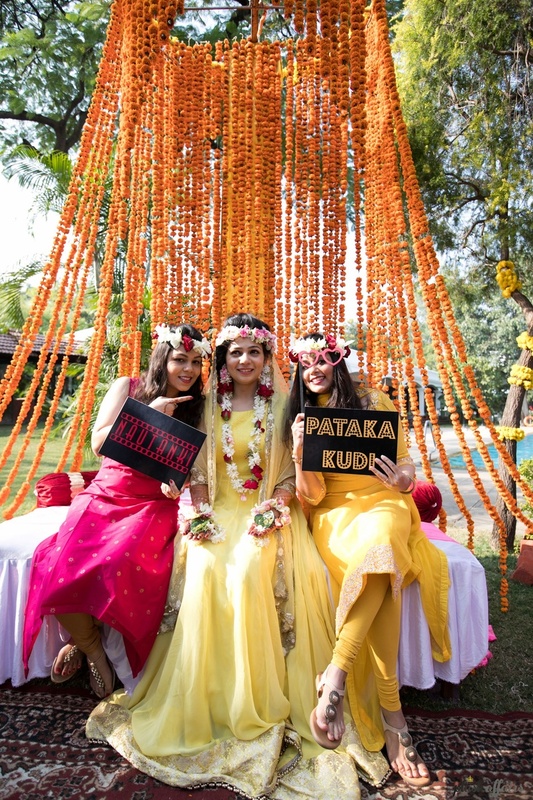 Fun and quirky signage for the haldi ceremony fun. 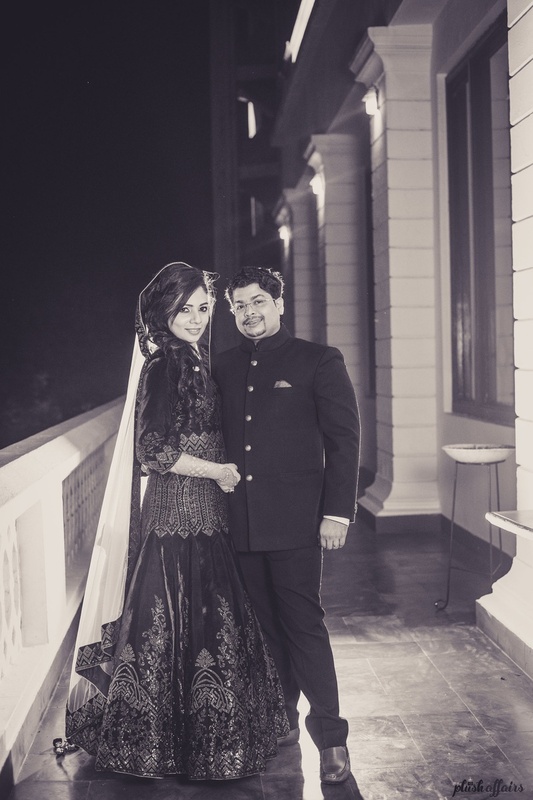 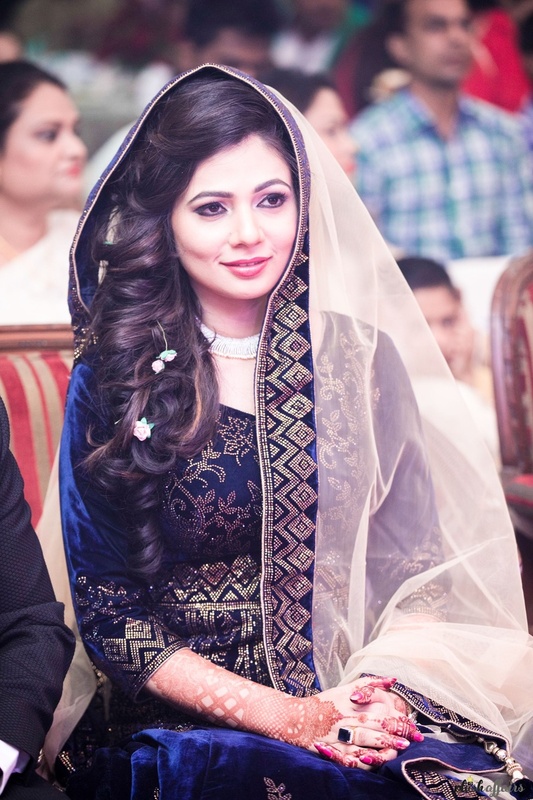 Wearing royal blue velvet Anarkali with silver work on it styled with minimal diamond neck piece and minimal makeup. 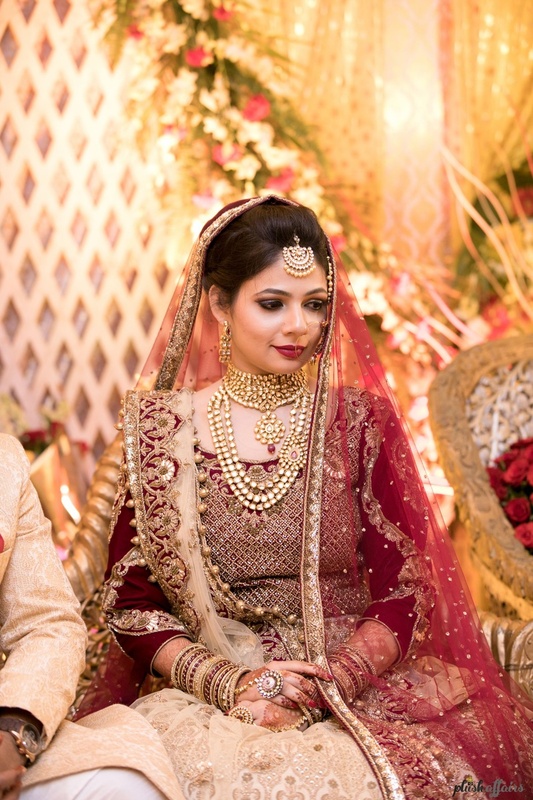 Imran and Binaiffer complementing each other with color coordinated outfits for the engagement ceremony. 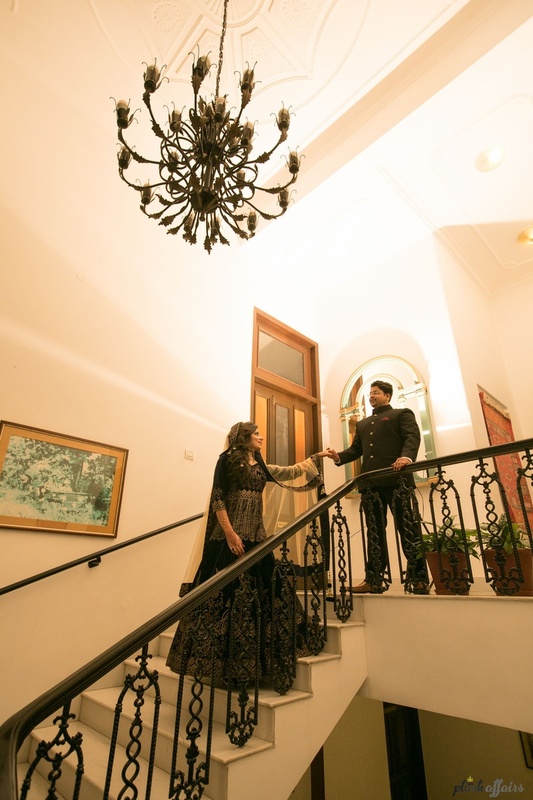 Post engagement couple photoshoot by Plush Affairs. 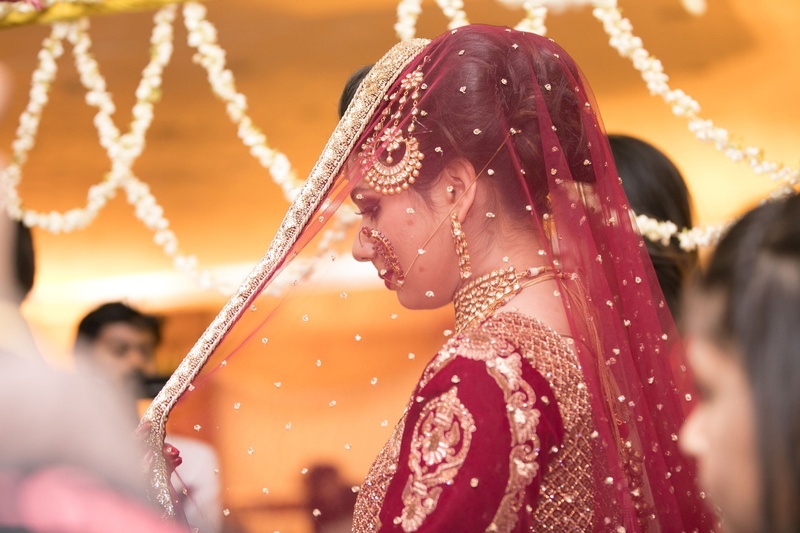 In red and gold bridal lehenga for the sangeet ceremony. 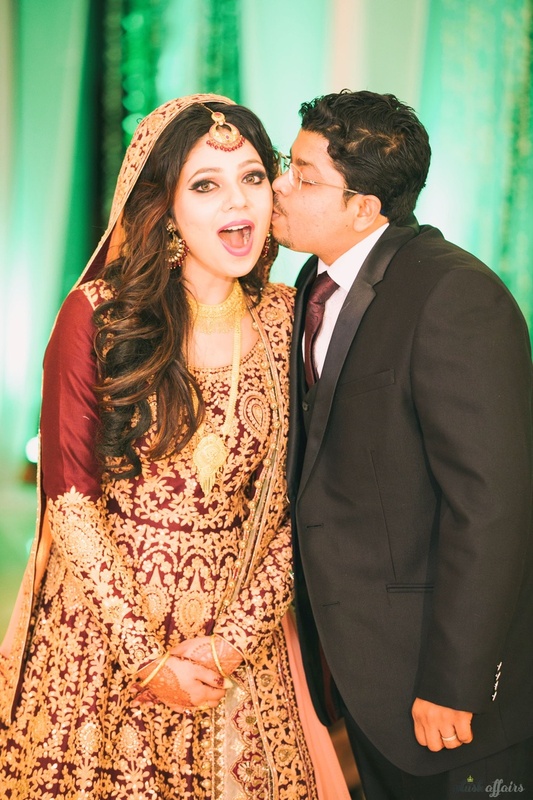 Wearing regal red and gold anarkali for the sangeet ceremony. 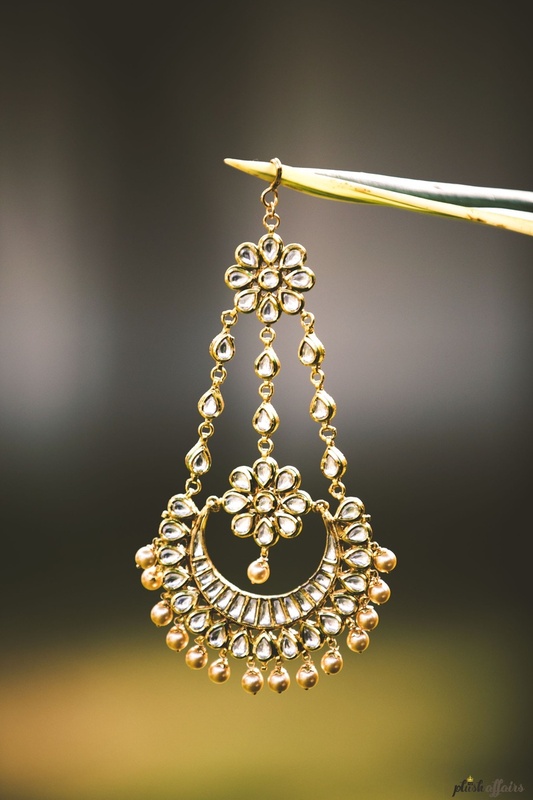 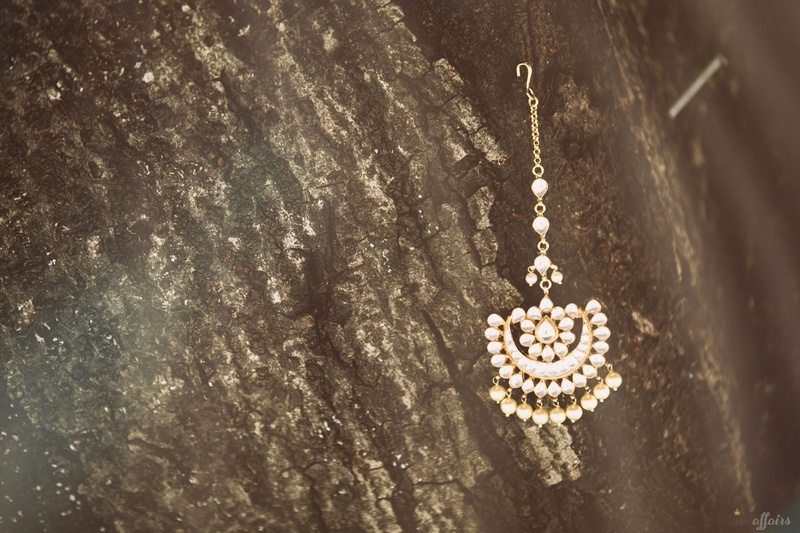 Polki bridal earrings for the wedding day. 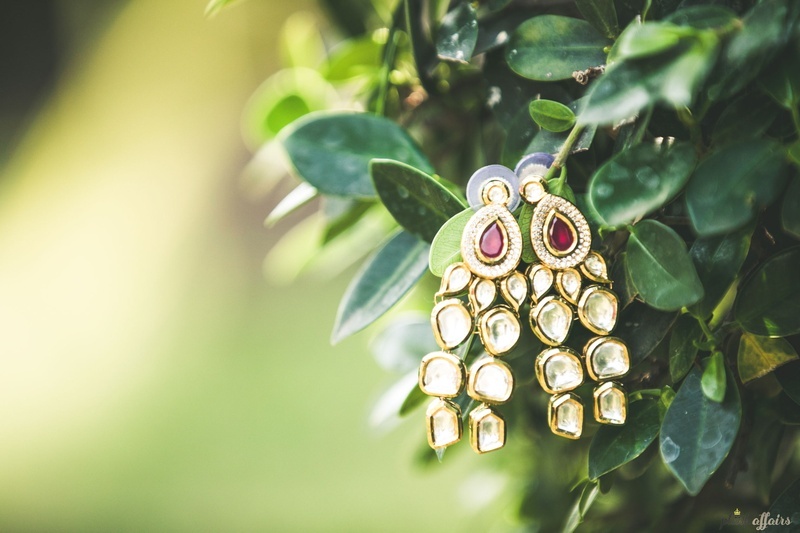 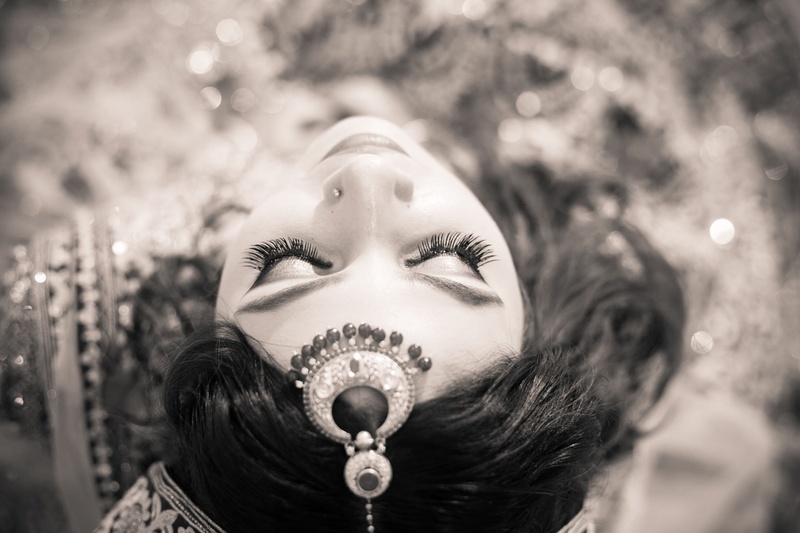 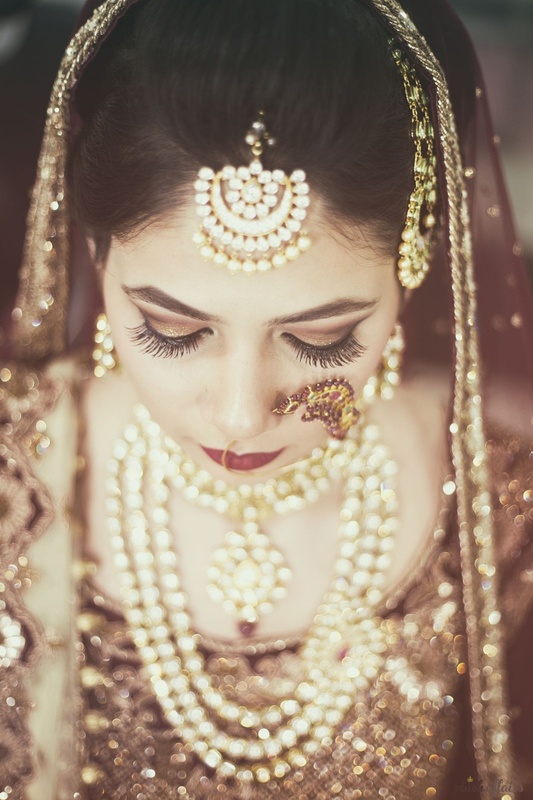 Bridal jewellery photography by Plush Affairs. 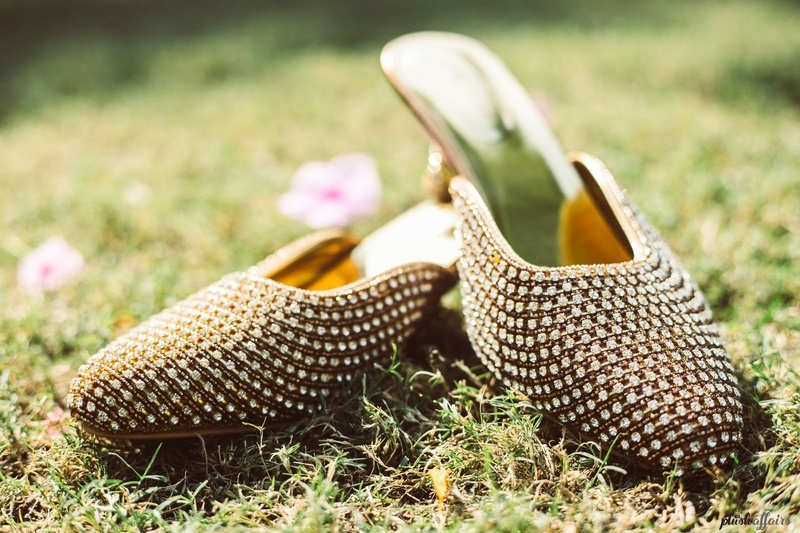 Gold and diamond bridal footwear for the wedding day. 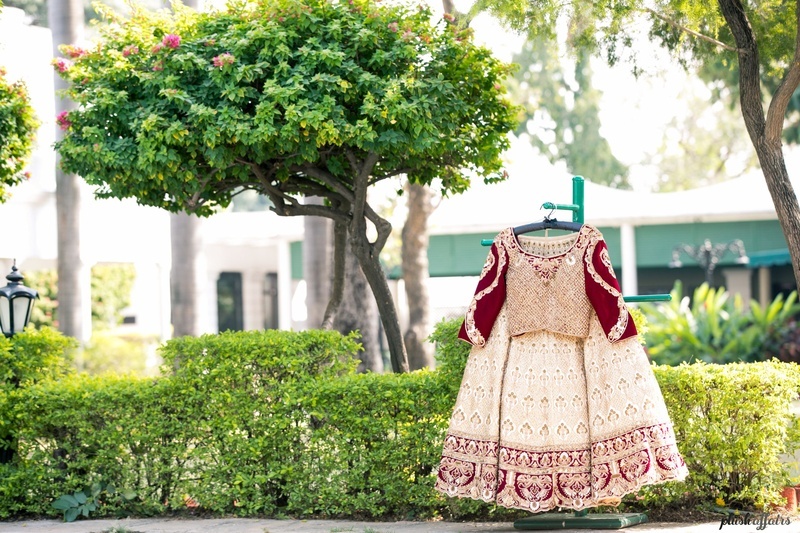 Beige and Maroon lehenga with intricate gold zardozi work ! 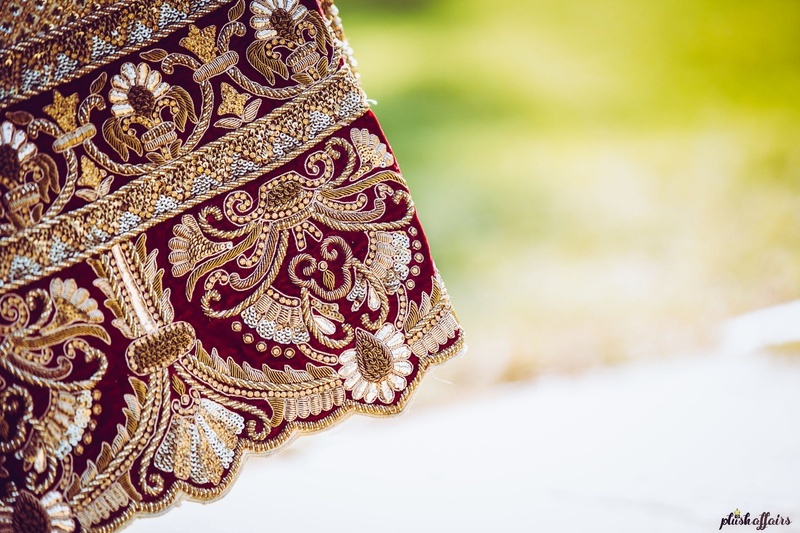 Intricate gold and silver zardozi work on bridal lehenga. 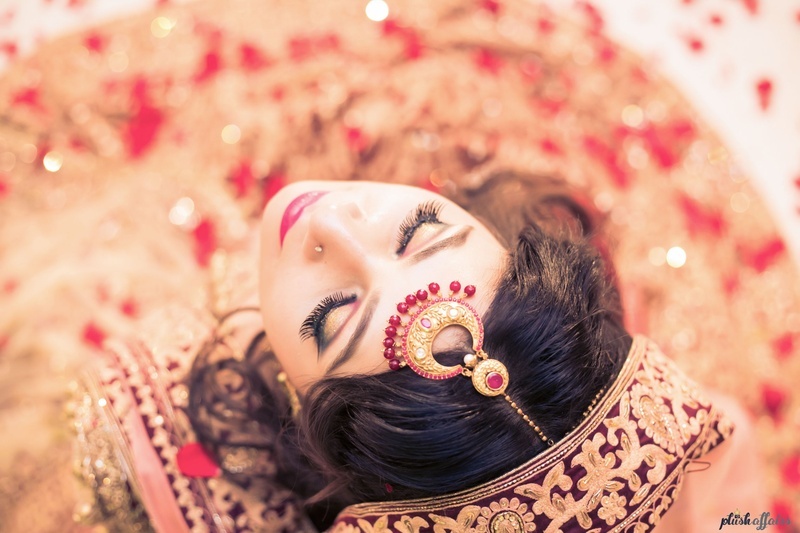 Bridal makeup by Rose beauty parlour. 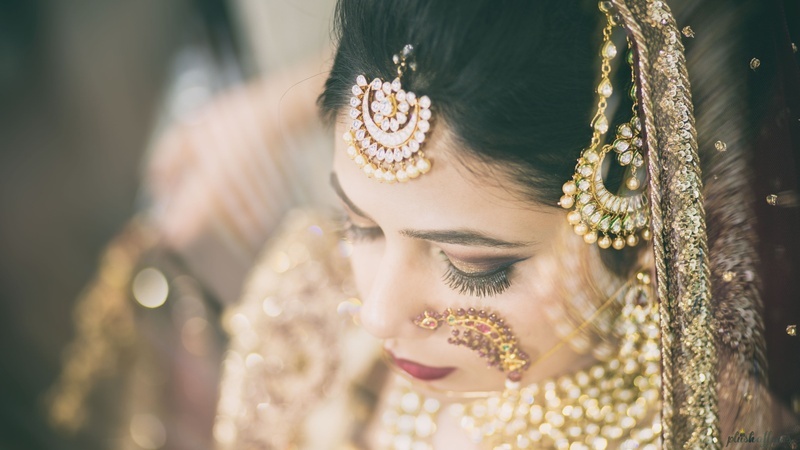 Bride adorned in beautiful polki bridal jewellery for the wedding day. 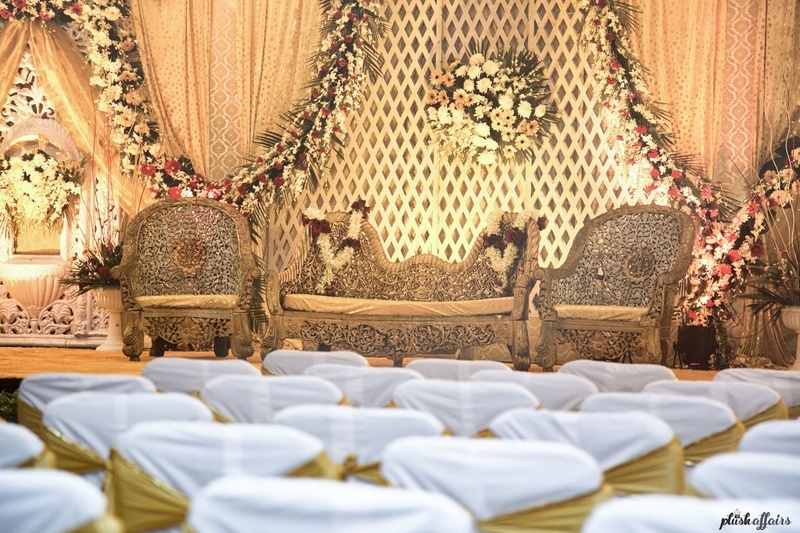 Royal style stage decor with florals for the backdrop. 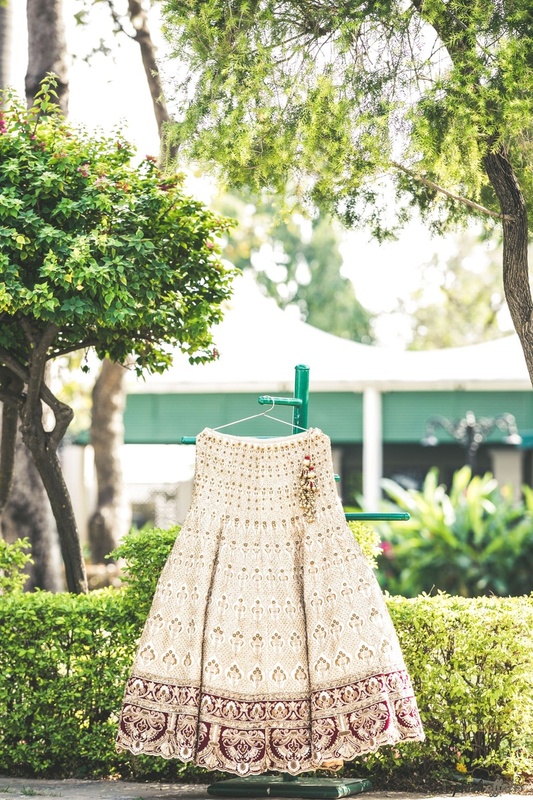 Beige and gold lehenga for the wedding day.